Microsoft is planning to launch the Lumia 650 smartphone in India in few weeks. Underlining the launch was a listing on Amazon India, which says that the phone will be shipping to customers by April 30. The listing states that the phone will be launched for a price of Rs 16,700. The Lumia 650 was quietly launched by the Redmond-based giant in February. The phone which is being billed as an enterprise-centric device runs Microsoft’s Windows 10 mobile operating system and it allows IT managers to test an incoming update before installation. Sources also hinted that Microsoft could adopt an online-only strategy for the device in India, but nothing is set in stone. The phone comes with a 5-inch 720p HD AMOLED screen with Microsoft’s ClearBLACK polariser. It is reinforced with Gorilla Glass 3. More importantly, the phone runs a basic, Qualcomm Snapdragon 212 processor which is clocked at 1.3GHz and coupled with 1GB RAM. The phone comes 16GB ROM and 200GB of storage through the micro SD card slot. On the back, the phone has a 8-megapixel camera with a f/2.2 aperture and LED flash. On the front, the phone has a 5-megapixel camera which also has a f/2.2 aperture. The phone has a 2,000mAh battery with connectivity options like 4G LTE, dual-SIM support, Bluetooth 4.1 and Wi-Fi 802.11n. 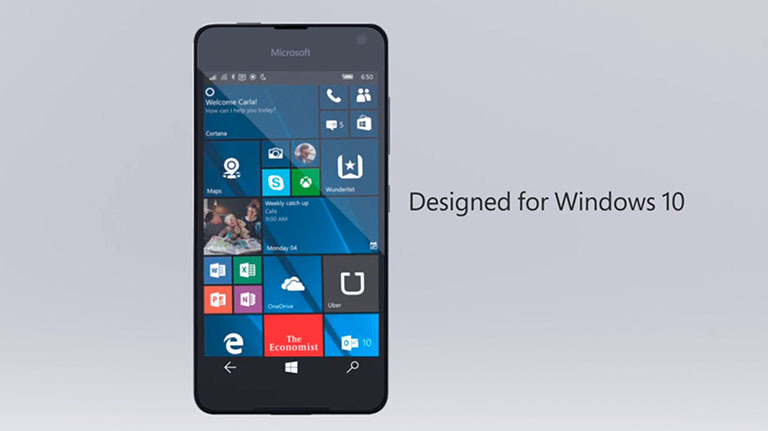 The Lumia 650 is likely to be the only Windows-based smartphone that Microsoft releases in 2016. This is after it has tremendously scaled back its smartphone operations. Even at the recently concluded BUILD conference Microsoft’s Terry Myerson claimed that Windows Phone wasn’t a core focus for the company in 2016. There are rumours that Microsoft is working on a Surface phone for the year, but other than that nothing else should be expected.